Planning on staying in on Valentine’s Day? Let us do the cooking for you! 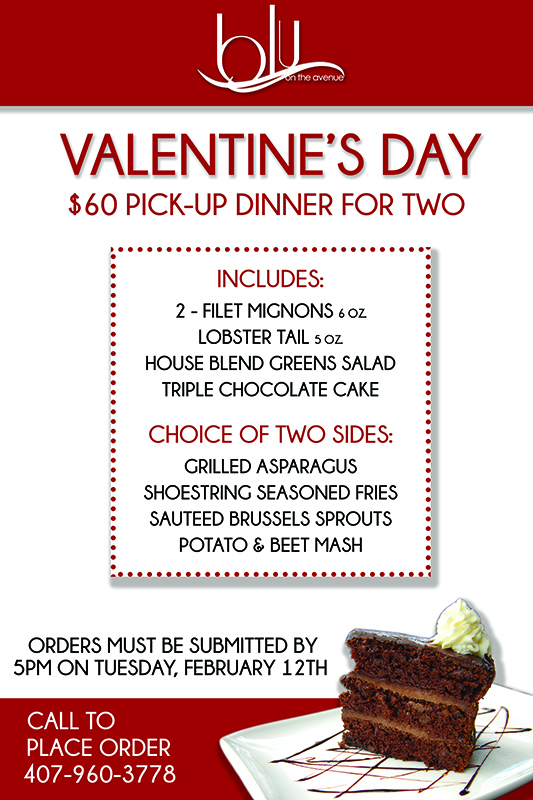 We have designed the ultimate meal for two available for pick up on Valentine’s Day! Order your meal today!